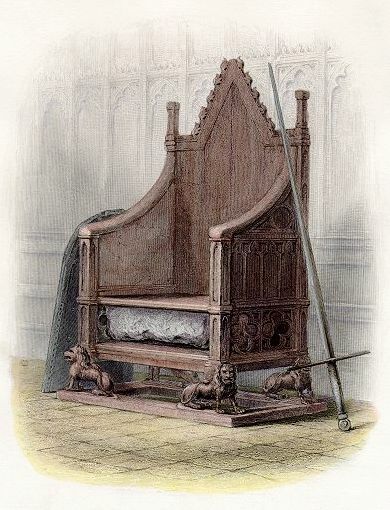 King Edward’s Chair, also known as St Edward’s Chair or The British Coronation Throne or Chair, is the throne on which the British monarch sits for the coronation. It has 4 lions at its 4 legs, just as Indian kings used to have for their Simhasanas (Simha = Lion, Asana = Seat). It was commissioned in 1296 by King Edward I to contain the coronation stone of Scotland, known as the Stone of Scone, which he had captured from the Scots who had kept it at Scone Abbey. 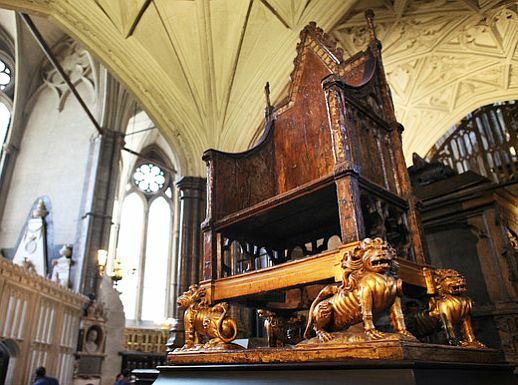 This chair was named after Edward the Confessor, and was kept in his shrine of St Edward’s Chapel at Westminster Abbey. England’s royal tradition is of Indian origin and this almond-colored square stone (removed from the shelf under the seat) is an ancient Hindu memento carried from Delhi, (Indraprastha) by Hindu warriors when they first set up throne in the distant British isles. Infact, King Bhoja of Dhar ruled till middle-east and it is possible that his ancestors during or after King Vikramaditya could have setup royal tradition in europe. A cutpiece of an ancient Siva Lingam serving several vicissitudes was reverently placed in the compartment under the royal seat. This sacred stone is known as the Stone of Destiny (Bhagya Vidhata) alias stone of Scone (because it was brought from a church in the city of Scone in Scotland, to London in 1296 A.D.). But before being brought to Scotland, it was at the Hill of Tara (Taragarh) in Ireland. This stone was stolen in 1950 by a group of four Scottish students and though later it was brought back to England, it is believed that multiple copies of this stone are made and the one right now at Westminister is not the original ! The royal tradition existed in India since Vedic times and even before. Sun emblem was used by Surya Vansh kings in India (Lord Rama was 40th descendant in Surya Vamsam i.e Solar Dynasty). In later years Chandra Vansh kings ruled india and Lord Krishna was born in their dynasty around 5200 years ago. 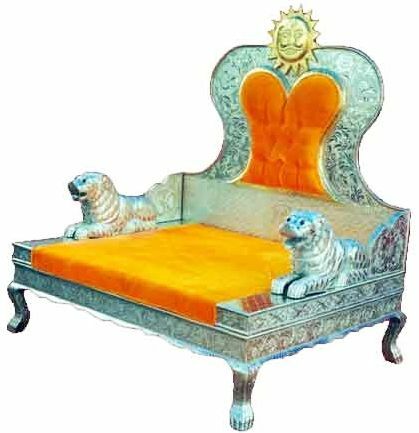 This royal tradition, coronation chairs having lions etc has been spread across the globe by Indians. We can observe similar coronation thrones and sun emblems in flags in history of many countries.